This is a simple way to make a fresh pot of mint tea that comes out better then David's Tea's Spearmint and Starbuck's Refresh Tazo Tea, both of which I love. 1. Boil water in a small pot. 2. 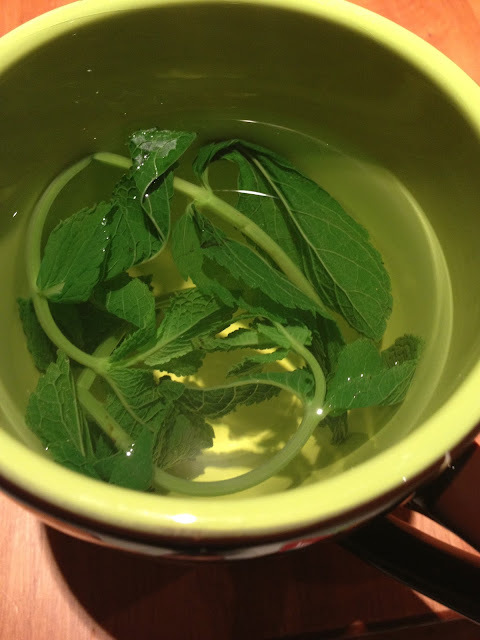 Once boiled, take pot off the burner and put two stems of mint leaves in the boiling water. 3. Keep the stems in for 2-3 minutes and then poor in a cup and enjoy! Simple enough but I can't get over how great the taste came out! Perfect for those long study nights. Try it out!